Expressing shock and grief over the death of a young police officer Hano Chatung, Chief Minister Pema Khandu today conveyed his heartfelt condolences to the bereaved family members. 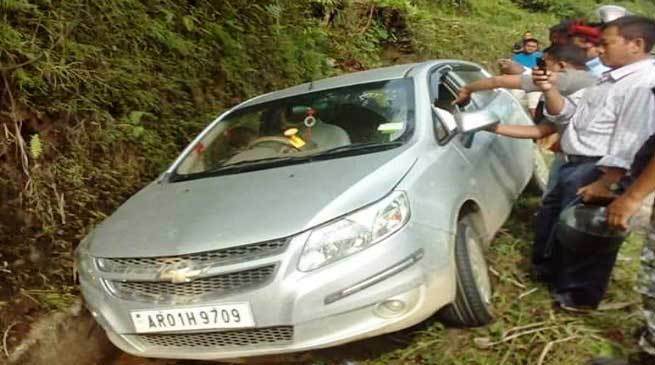 Late Chatung, a Sub-Inspector attached to Doimukh Police Station, was found dead inside his car on the roadside near Six Miles on the Itanagar-Naharlagun stretch of National Highway 415. Though prima facie circumstances point it to be a suicide case, the Chief Minister has instructed thorough investigation into the case. He asserted that every possible angle should be investigated with the help of forensic and post-mortem reports besides taking into account all antecedents prior to the tragedy. The Chief Minister assured the people, particularly the bereaved family members and the police fraternity, that if investigations reveal any foul play the guilty will not be spared at any cost. “Late Chatung was a promising police officer. His death is an irreplaceable loss to the police force and the state. I share the grief along with his bereaved family members. May his soul rest in eternal peace,” the Chief Minister added.